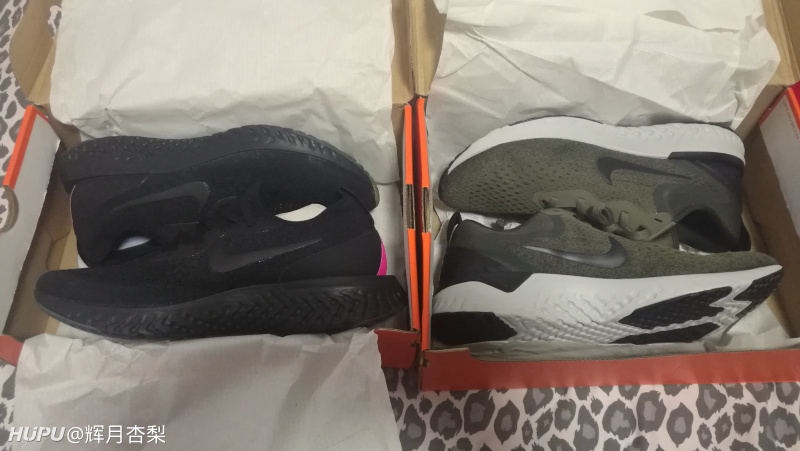 Reviews : What The Difference Nike Epic React And Odyssey React ? Nike Running just launched the Nike Odyssey React; it’s a less expensive rendition of the overly-hyped Epic React Flyknit. 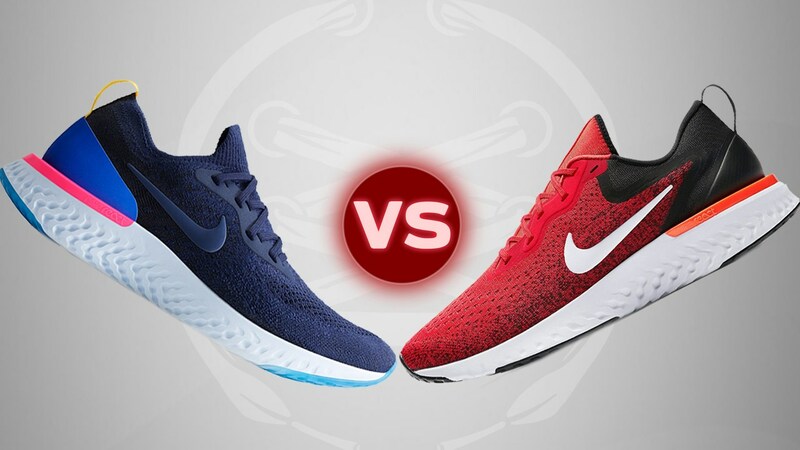 But what is the difference between of These pair of shoes?Two Nike React runners are going head to head: the Odyssey React vs the Epic React Flyknit. Which would you choose? We will check the review today . 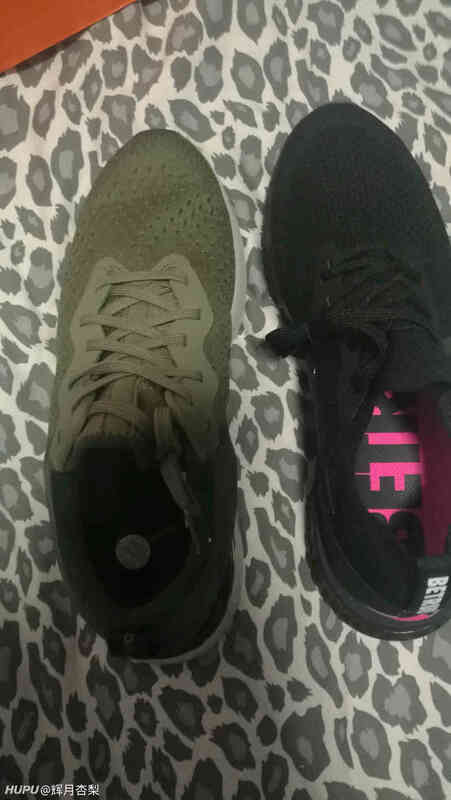 It is $30 less than the Epic React, but what is the difference? 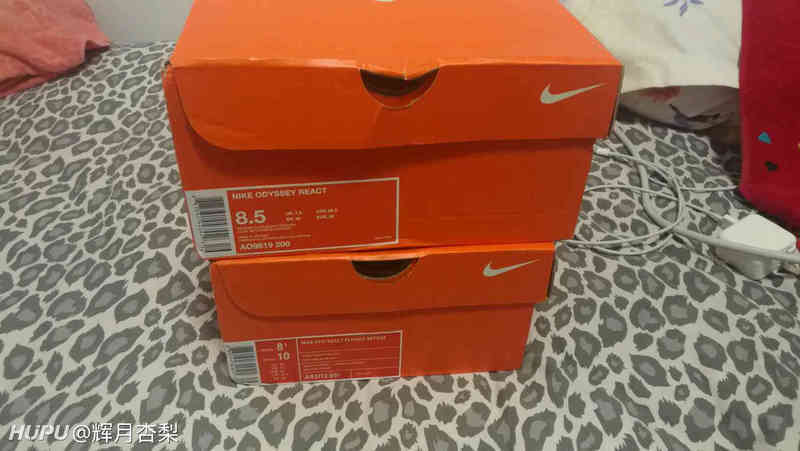 For the shoe box ,there are almost the same .The orange box with Nike logo as usually . 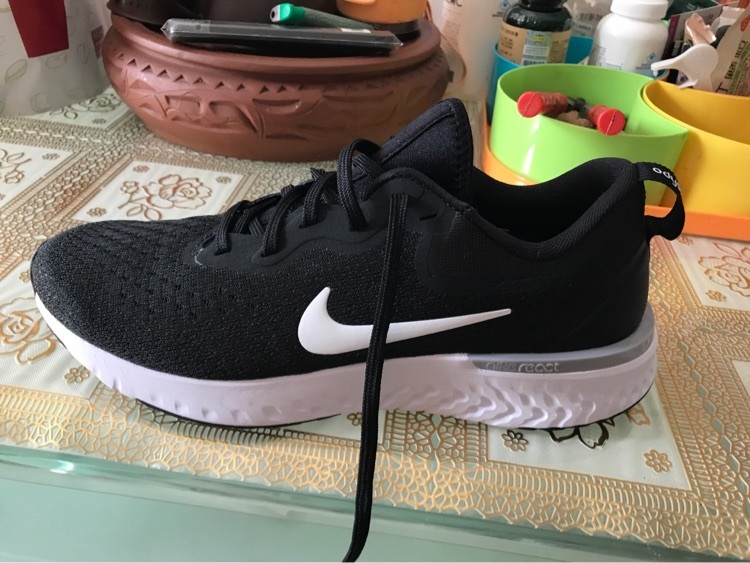 For the material: Nike Epic React used the knitted upper one of characteristics of knitted upper is that different weaving methods can be used for different positions. 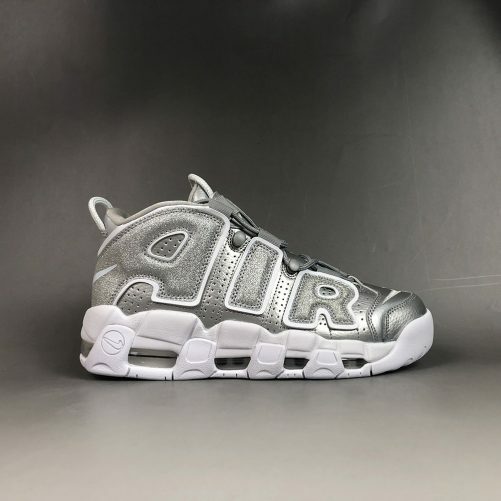 For example, React uses large meshes in the foot position to ensure heat dissipation and extensibility, while the outer side is dense weaving method to ensure stability and wear resistance in sports.Then the collar of the shoes is very thin, and no extra foam is used to wrap them. 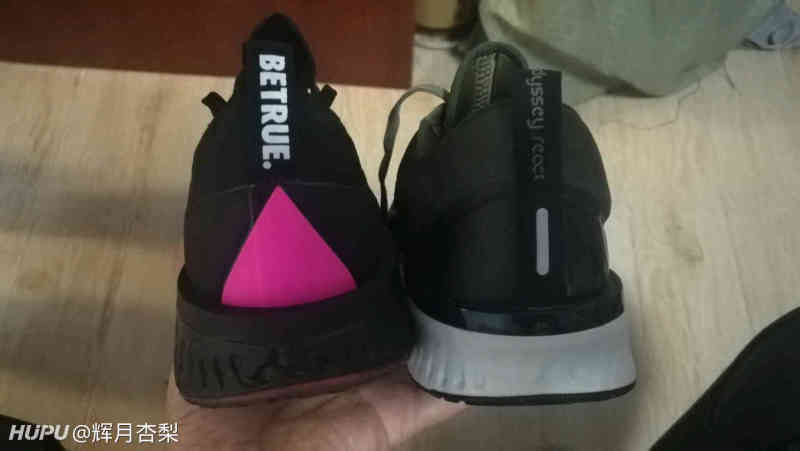 The inner and outer heel patches are used to compensate for the insufficiency of the stability of the knitted upper, so that it has a certain degree of hardness and elasticity, and the inner side patches are made of anti-velvet material and have a comfortable touch. For the Odyssey React: For starters, I love the look. 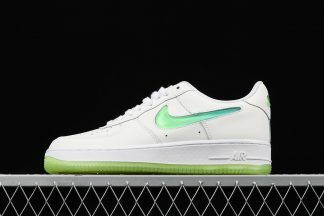 And not just because of the Swoosh on the side. The design is simple, but comes with all the performance features you need. The upper is designed with a soft, stretchy material (a “neoprene bootie”) that’s one piece and free of overlays.One of the characteristics of knitted upper is that different weaving methods can be used for different positions.Also these shoes material are really simailar.They hug your feet, but aren’t restricting. It’s like wearing an elastic waistband on your feet. They’re breathable and the flat lacing system does it’s job to keep your foot secured down. 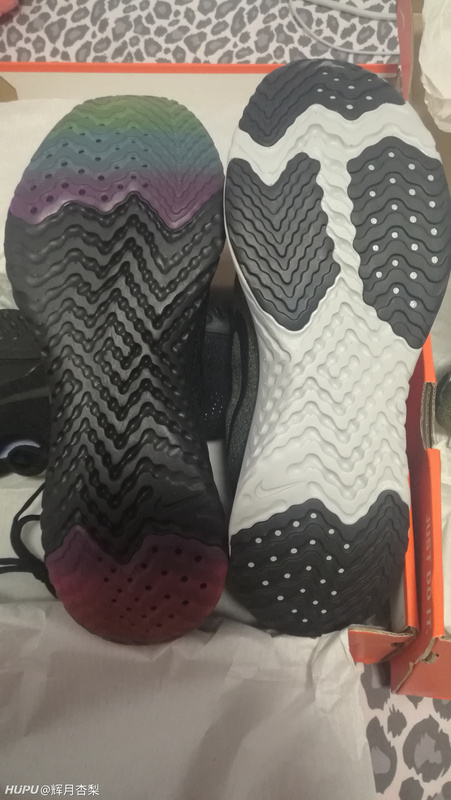 React is full of these corrugated grooves on the midsole. I wonder if they will continue to be used in products that use React materials in the future. The grooves vary in depth and are said to be used for seismic mitigation and stability assistance in different regions. 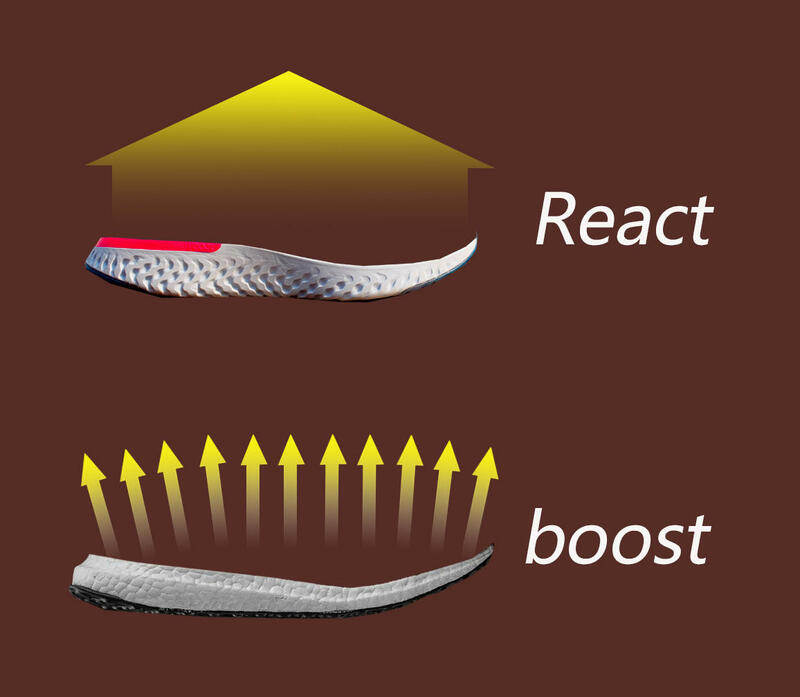 For cushion: React comprised of TPU pellets compressed into a highly durable and resilient bed of cushioning heaven, Boost foam has worked extremely well in midsoles from marathon racing flats to heavy and super cushy daily trainers.The Odyssey ads significant rubber to the front of the shoe on both the medial and lateral sides. Besides the rubber providing durability, it firms up the React and gives the shoe some teeth. 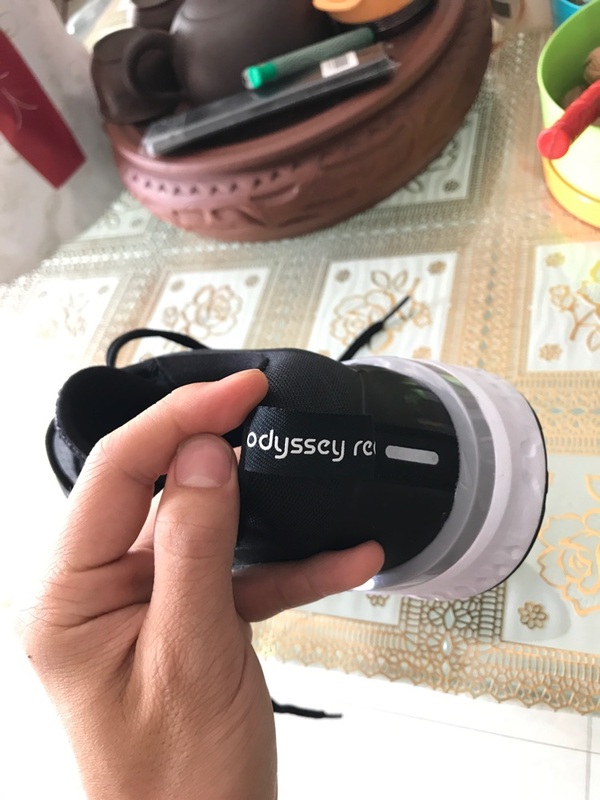 The Odyssey react’s sole is very thick. I don’t need to worry even if the stripes are worn out. 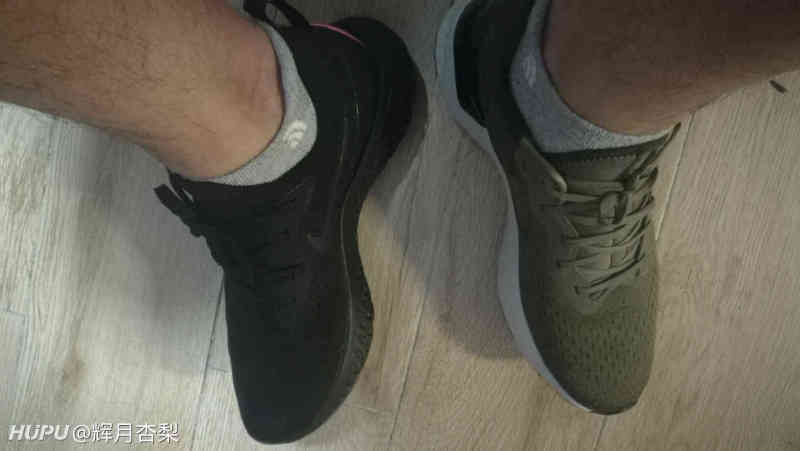 Compare with the UltraBoost , The rubber block is thick enough and the wear resistance is quite high.For those of you that tried the Epic React Flyknit and the lacing dug into your arch, the Odyssey has a soft neoprene tongue/saddle with an added strip of material that protects your foot from the flat laces. REACT has a great sense of cushioning and force feedback. Compared with BOOST, REACT has no local sense of subsidence or rebound. However, BOOST is very sensitive and flexible in both mitigation and feedback. It is scattered and has a sense of local collapse and rebound, especially on uneven roads. React is Nike’s latest shock mitigation technology. 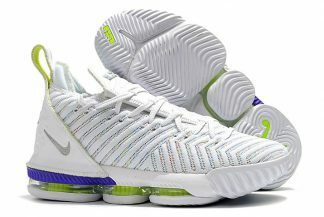 Its principle is slightly similar to Zoom’s. It achieves high shock mitigation through vertical arrangement of fiber materials, which is softer than EVA foam, but has better resilience and life.The Nike React foam feels soft underfoot, but has a nice bounce. 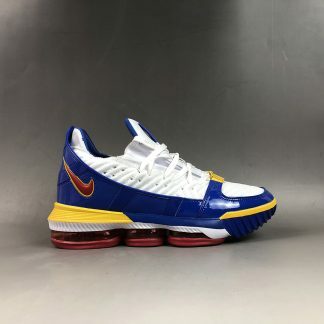 It’s a comfortable shoe all around. 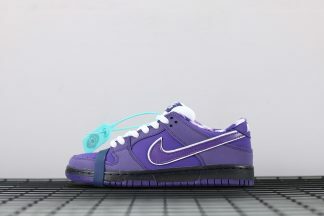 There’s a shelf under the heel that provides support when your foot lands and a thin layer of rubber on the outsole which adds some durability and traction. 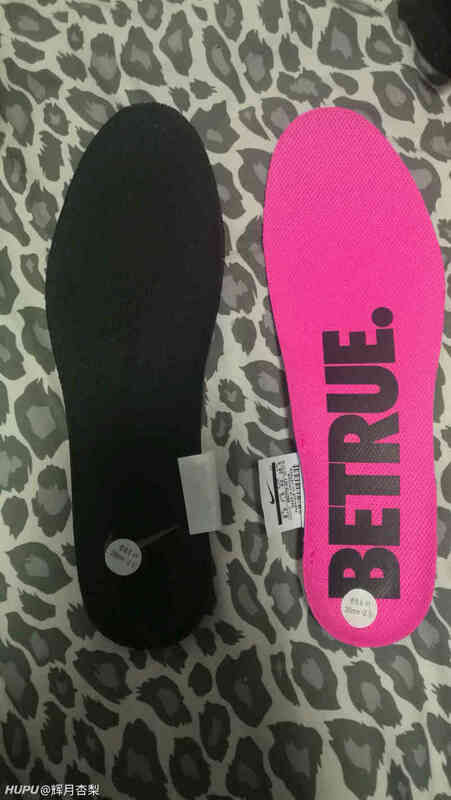 The insoles are the same, They are very thin. But for me ,the Odyssey does an excellent job of securing your foot, but hell no when the summer temps and humidity hit the Mid-Atlantic. Overall,For these shoes, I think they have their advantages. The upper of the Odyssey is a miss for me. 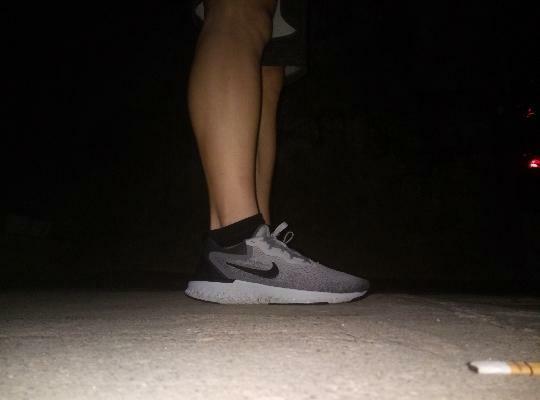 I had to go with my thinnest socks to feel comfortable in the shoe.The React have a great traction and cushioning . I would also like the Epic React with a little of the rubber on the outsole like the Odyssey.